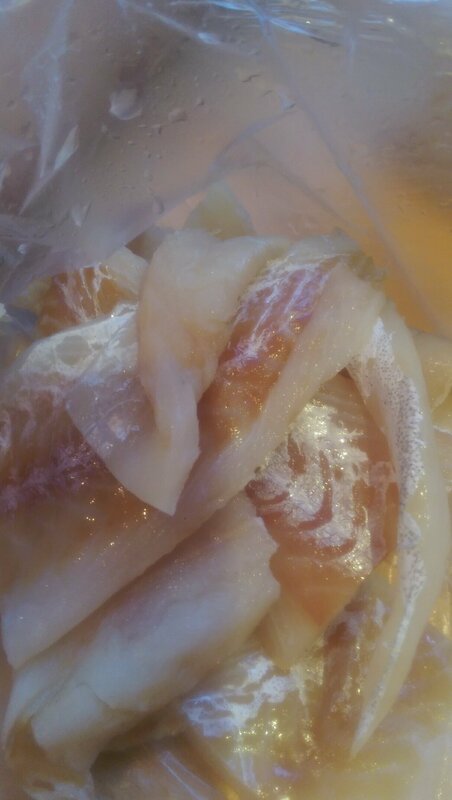 Frozen pollock fillets from Lidl. Defrosted Friday evening. This is the thin, scrappy ends from 6 or so fillets – about 150g worth. Ideal for fishcakes or cats! Pasta – use by 2007!